For decades, the publication U.S. News & World Report has been culling data and publishing yearly rankings of businesses and institutions in the health, financial, travel, automotive, and educational industries so its readership can make educated decisions about such things as with whom to invest, where to travel, where to work, and where to go to school. 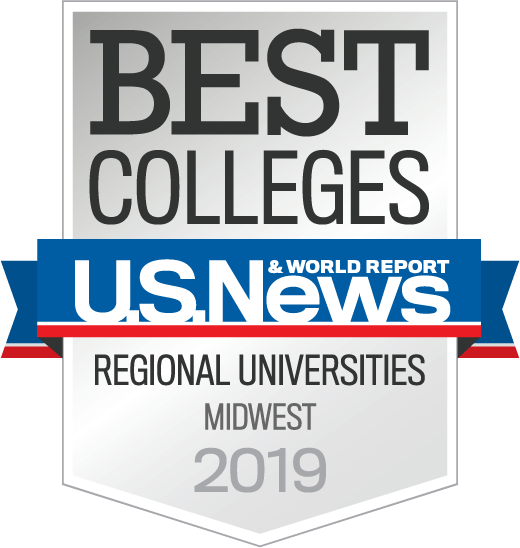 With a special focus on education, the U.S. News & World Report Best Colleges Rankings is the yearly, go-to guide for anyone looking for information about attending a university or college, for either an undergraduate or a graduate degree, either on campus or online. Many working in colleges and universities across the country await publication of the rankings, eager to see where their schools and programs place among their competitors. "It was a great experience. The professors were very good at getting back to you and communicating." Lynn Z., Kettering University Online Alum, MS Lean Manufacturing, 2016. "My experience with the course instructors was fantastic. The class sizes were small. The instructors were always available." Nicole N., Kettering University Online Alum, MS Lean Manufacturing, 2018. Kettering University Online has several processes and policies in place to ensure they are hiring, training, and mentoring faculty who are experts in their field and eager to co-create meaningful learning experiences with students. As learning methods and approaches to education have evolved, particularly in light of 20th Century technological advances, the successful online faculty member is one who appreciates the value in transitioning from the sage on the stage to the guide on the side. Rather than delivering long lectures KUO faculty members facilitate discussion questions, encourage the sharing of perspectives, and support students’ successful integration of knowledge. KUO faculty inspire, motivate, and empower students to direct their learning to shape the course of their future. The process of becoming a contributing faculty member for KUO involves three distinct phases. The first phase is an initial credential vetting by the VP for Kettering Global and the appropriate Dean the second phase is an invitation to participate in a two-week training course where the potential instructor is not only trained but evaluated, once a potential instructor passes the evaluation and orientation course, they are matched to a course and given a final orientation to the specifics of that course. The instructor is then matched with a Master instructor to mentor he or she through this first course. Often an instructor is asked to teach the same course several time before there is a potential to move to another course. Only about 50% of those that begin this process meet the high standards required to become a Kettering University Online contributing faculty member. Both the Vice President of Kettering Global and the appropriate Dean, begin the review process by reviewing the credentials for all potential faculty. This consists of verifying credentials, evaluating the curricula vitae, and making note of additional qualifications and special training to ensure that his or her experience, teaching philosophy, and credentials are in line with the mission and vision of Kettering University. If the potential faculty member meets this first level of review satisfactorily, they are invited to participate in the KUO Faculty Evaluation and Training Course online. This course, designed and facilitated by a KUO Master Instructor, has two purposes. The first is to provide potential faculty members with the opportunity to experience the classroom from both the faculty and student perspective, as well as provide an overview of policies and procedures necessary for ensuring student retention and achieving of learning outcomes. Training content includes answering discussion questions about adult learning theory, and the differences between pedagogy and andragogy. There is also a section about Kettering University. This is vital because it is important that all KUO instructors feel they are active participants in the University as a whole. While the first week of the course allows participants to experience the classroom as a student, the second week takes it even further. Participants are assigned two “pseudo” students and are expected to interact, grade and provide feedback as though it were a live course. This training course also details policies and processes all faculty must follow. These include strict timelines for responding to students, how it is important to offer detailed and substantive feedback on discussion questions and assignments and providing grades and email responses in a timely manner. There are also policies related to late work, citations and references requirements, and adding any new information to courses. The second aim of the training course is for the Faculty Mentors to evaluate each participant’s fit for online teaching for KUO. Each potential faculty member must possess the skills and experienced enough in their field to add substantively to student knowledge as well as understand how to aid students to move effectively through their courses. This requires individuals that are adept with technology and are generally more experienced with collaboration and teamwork. Interested in Teaching for Kettering University Online? JOIN THIS EXCITING AND EXPANDING TEAM! Then Kettering University Online is interested in talking with you. If you are interested in learning more about how to become a contributing faculty member with Kettering University Online, please send your curriculum vitae and a cover letter to Dr. Christine Wallace at cwallace@kettering.edu. Charles Kettering, American inventor and engineer once said, “high achievement always takes place in the framework of high expectation” (Fixquotes, 2018, para. 1). Again, congratulations to the Kettering University Online faculty for achieving a perfect score of 100/100 for credentialed and trained online faculty as noted by The U.S. News & World Report Best Colleges Rankings for 2018! Our students benefit every day from working with this dedicated group of highly accomplished academic and industry experts.